You probably know the 'Stressless' recliners. The base of such a chair is a round base, made in most cases of solid wood. 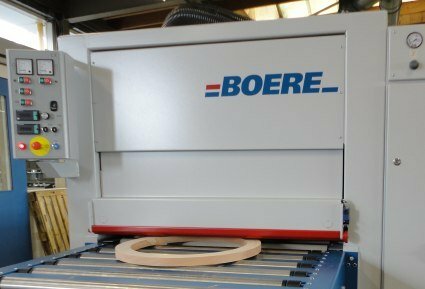 This base needs to be perfectly sanded which is done by a Boere wide belt sanding machine. 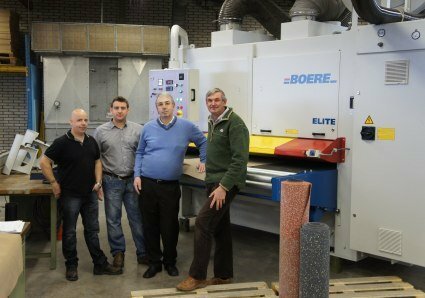 The customer was very satisfied with their older Boere wide belt sander, but wanted, due to production capacity increase, a new machine. 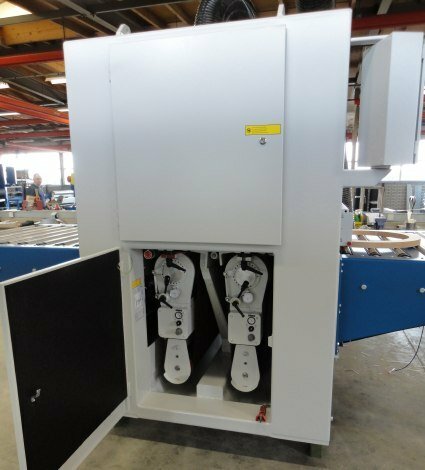 This became a bottom sanding machine in 1100 mm working width equipped with two contact rollers. 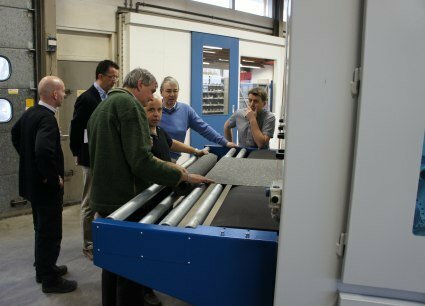 Furthermore driven in- and outfeed roller tables for easy handling of the wooden bases completed the machine.